with the 7th period (19:00 ~ 20:30) of the MBA Program (Evening). It is not allowed to take two overlapping courses. 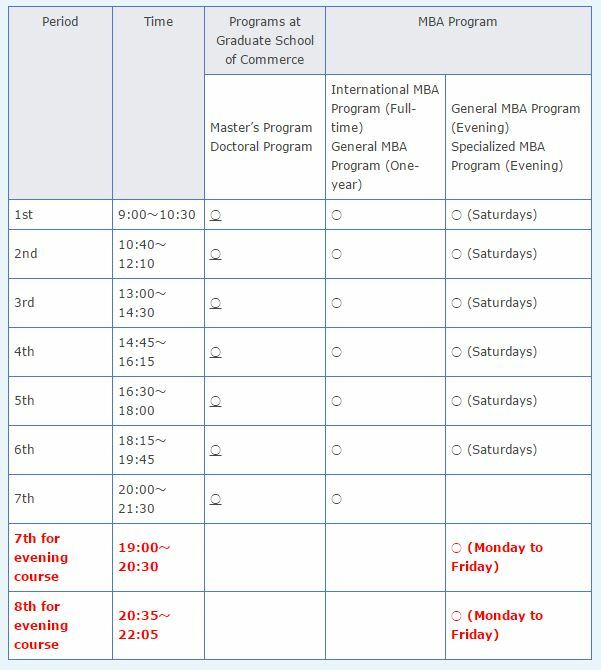 The following lists show English courses the exchange students of the Graduate School of Commerce can take. Please find courses of Spring Semester 2019 and Fall Semester 2019. Besides the list, exchange students can take the Japanese language courses at the Center of the Japanese Language. Exchange students can register up to 20credits per semester and 40 credits for one academic year.